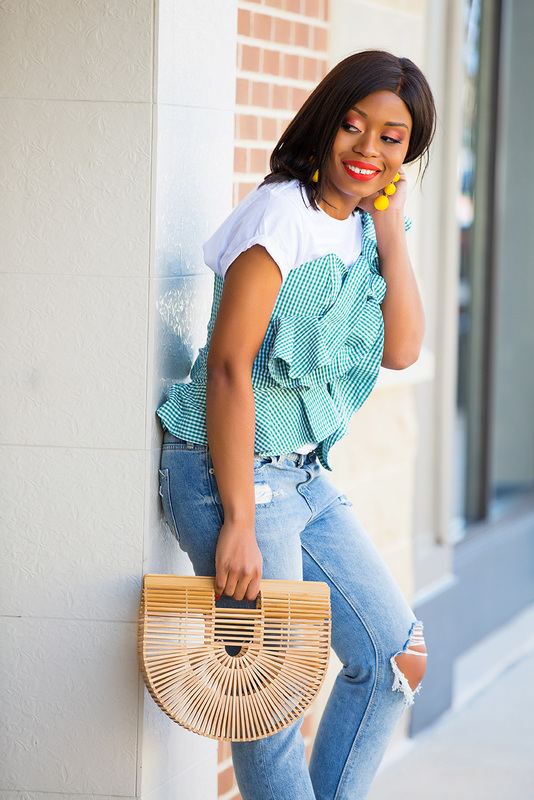 As a big fan of gingham patterns, I am looking forward to the trend this spring and summer. 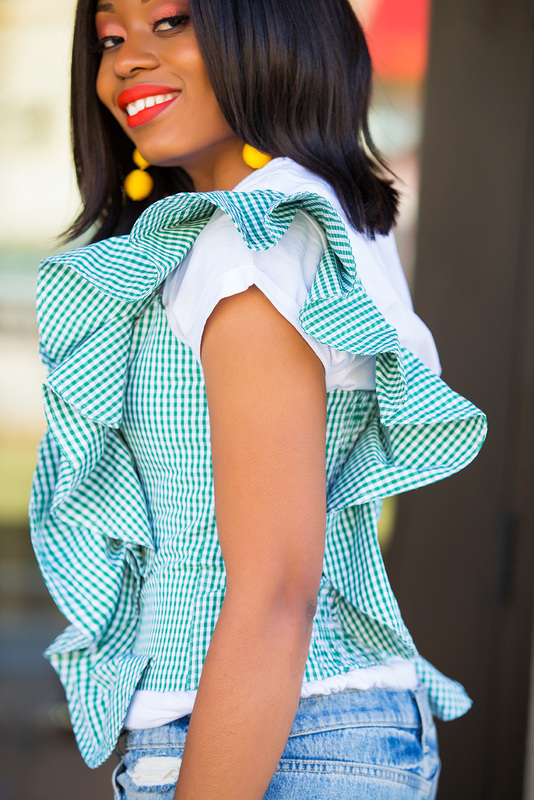 Not only is this gingham ruffled top fun and versatile, the corset feel of the top and the ruffle detail makes it unique. 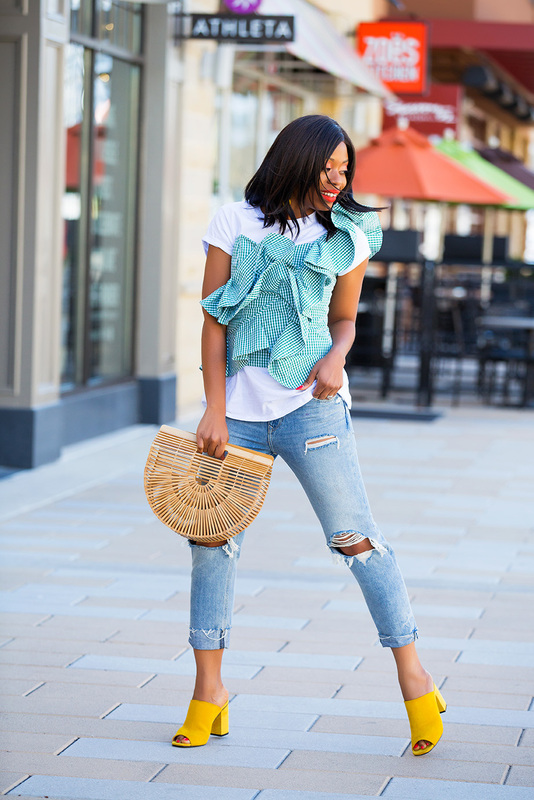 It can be worn as an individual piece or layered with a tee or button down shirt as shown in my previous layering style here. 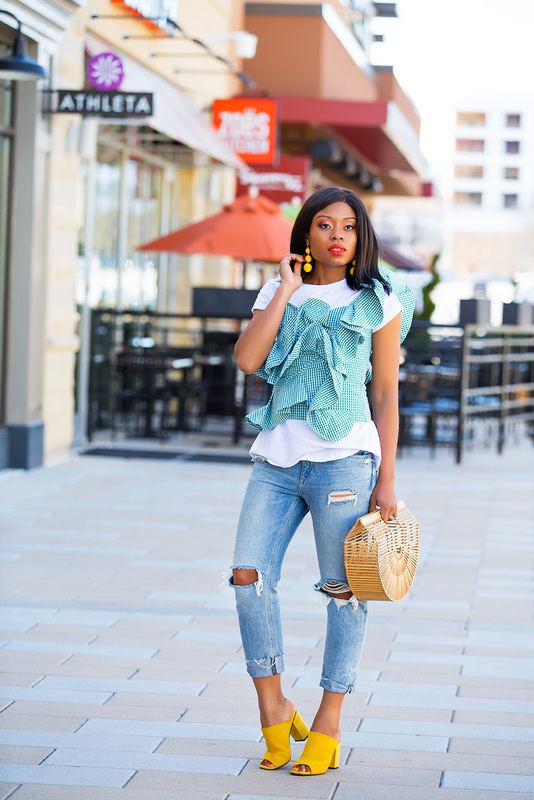 For a casual spring look, I paired it with a pair of jeans and my mules. 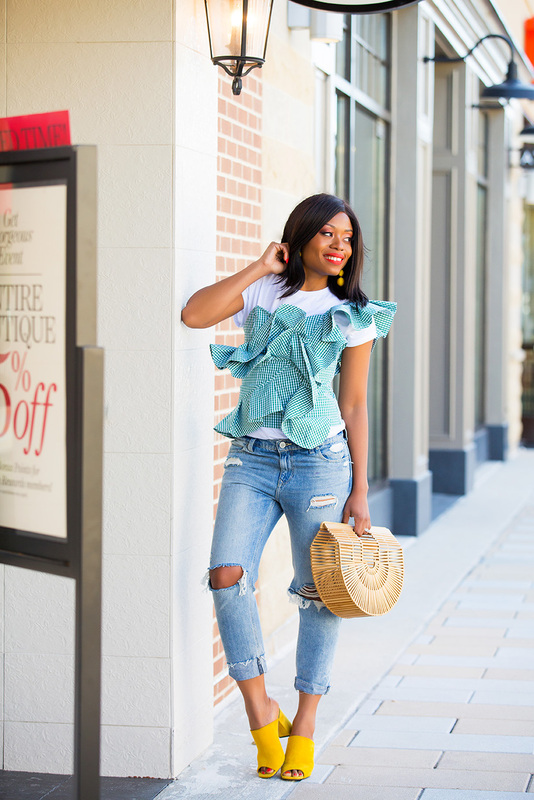 The yellow mules add a pop of color that complements the drop yellow earrings. 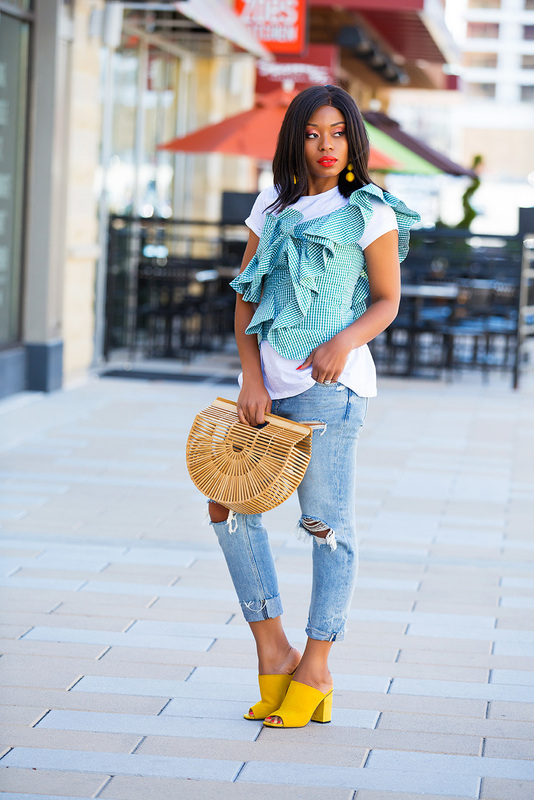 Mules remain a trend that is still going strong from last year. 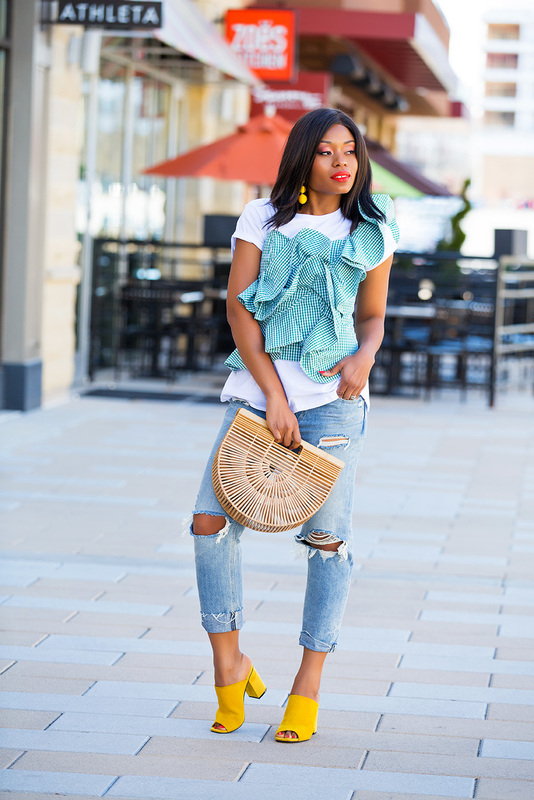 I'm loving everything about this look babe - the spring colors, the summery bag - LOVE! 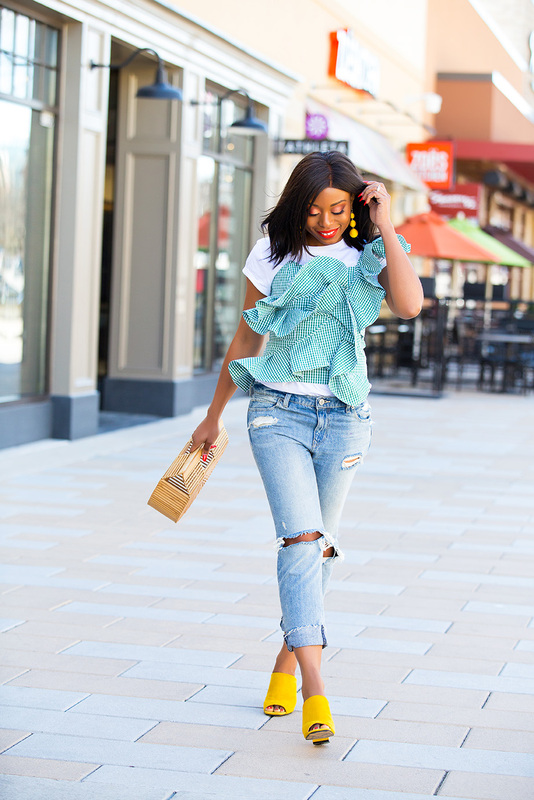 Loving the pop of colour with your yellow mules! You can't be more on point!!!! Jeez!!! You r a chic goodness!